Published on June 29, 2010 in Complaints, Crime in T&T, Integrity Commission, People's Partnership, Politics, Security and UNC. 32 Comments Tags: Anand Ramlogan, Attorney General, Calder Hart, Devant Maharaj, IndoTrinbagonian Equality Council, Integrity Commission. 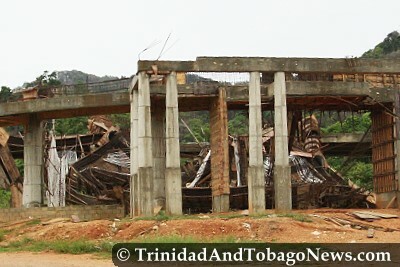 WITH AN estimated $5 million in materials and equipment now removed from the site of the controversial church project at the Heights of Guanapo, Attorney General Anand Ramlogan yesterday said he was “mad, upset and vex” in the wake of what he described as the “wanton looting” of the building which led to its collapse on Wednesday.